Caldwell University will expand the services it provides through its Counseling HelpLine, made possible through a grant from Partners for Health. 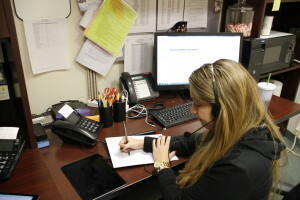 Graduate students provide crisis counseling and mental health referrals for the National Suicide Prevention Hotline. With the grant, Dr. Ling is putting plans together to double the number of highly trained counseling graduate students who volunteer and double the number of hours of services to the public.